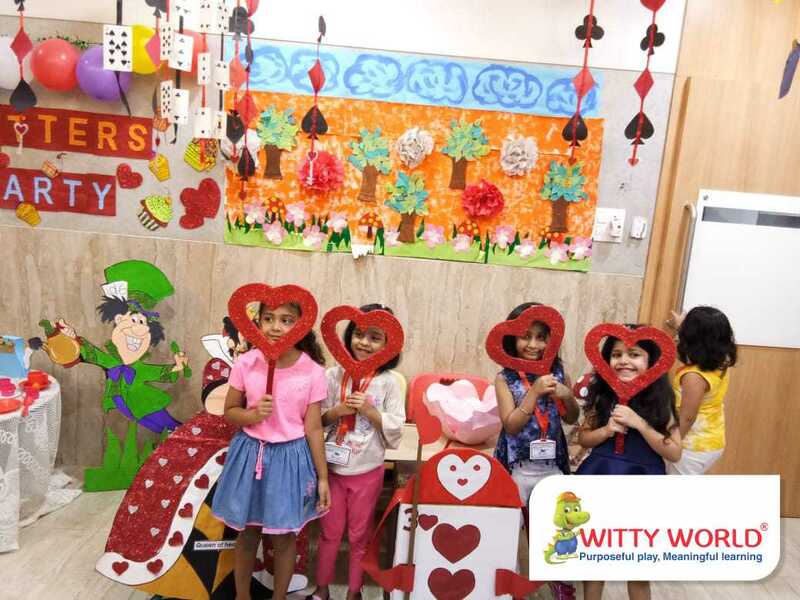 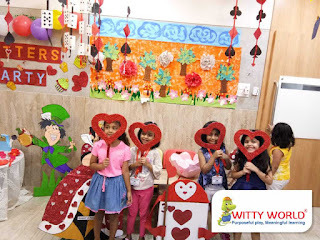 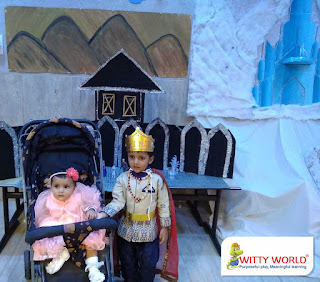 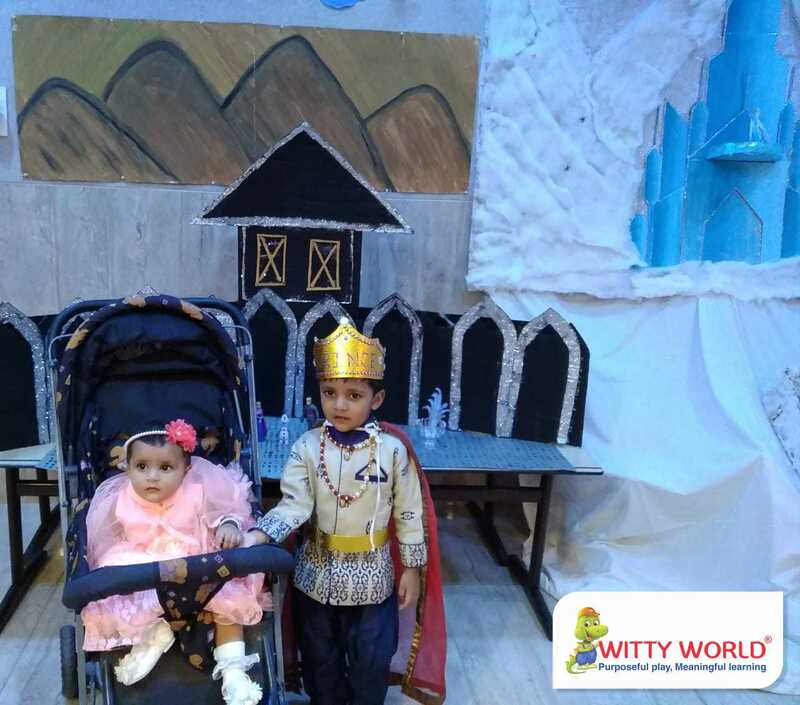 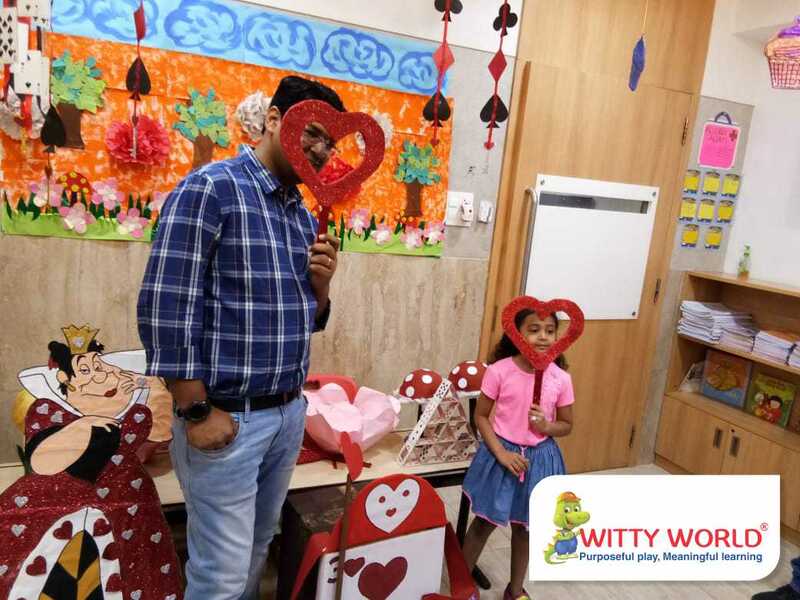 Witty World year after year has been organizing Edutainment which is a project based learning event .The entire school gets transformed in keeping with the theme. 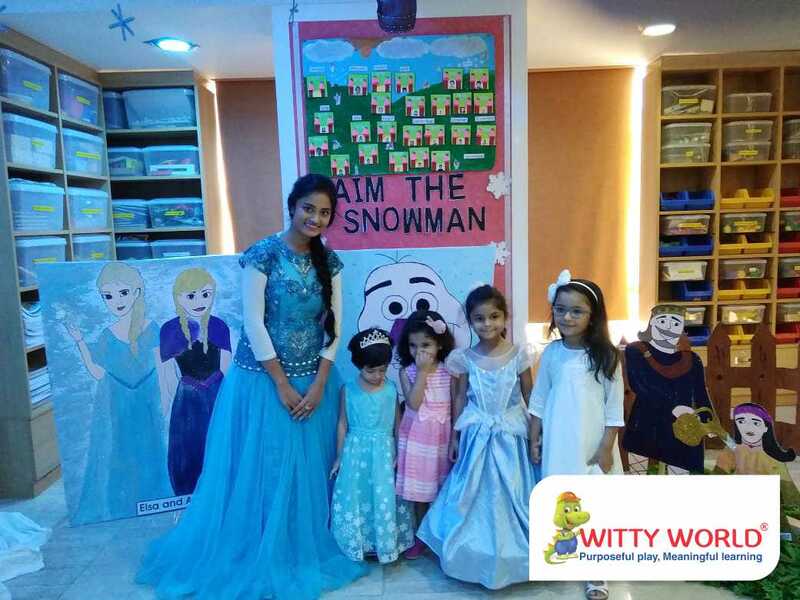 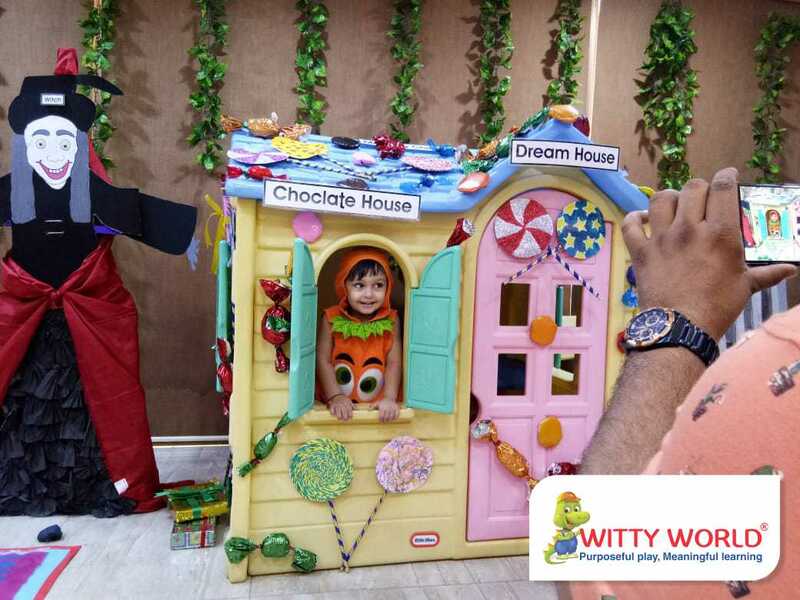 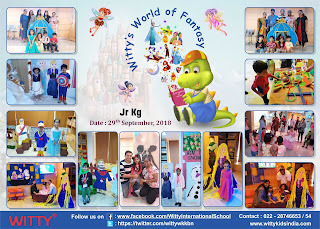 This year the event, “Witty’s world of fantasy” transported the children to the enchanted world of stories. 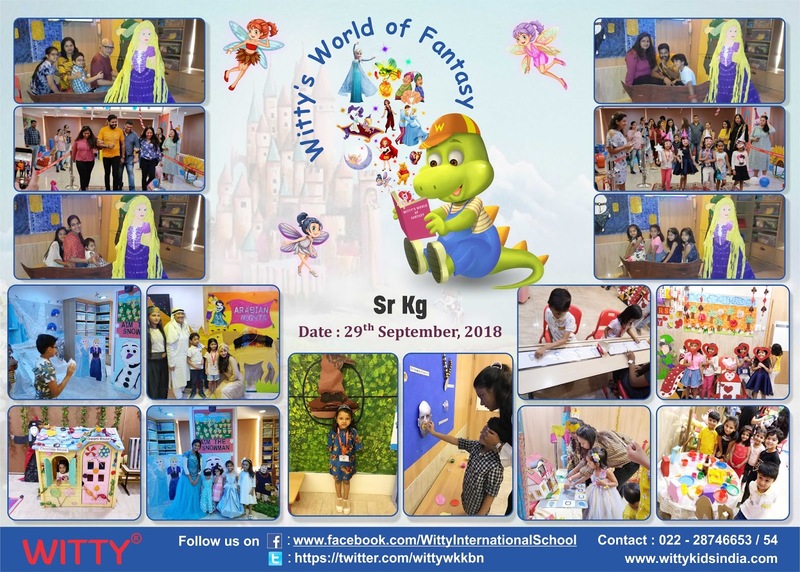 Stories and books are powerful teaching learning tools! 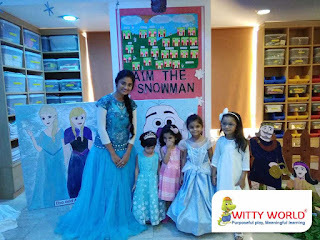 This event was an endeavor to get our children interested in reading. 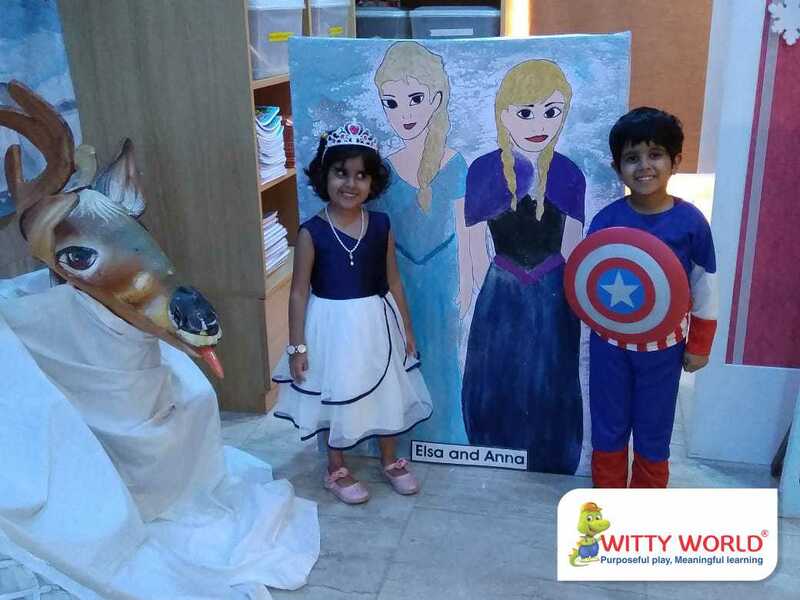 In keeping with our philosophy of, “DISCOVERY WITH ACTION”, through the month children were involved in creating art work which had its place of pride in the enchanted setup ! 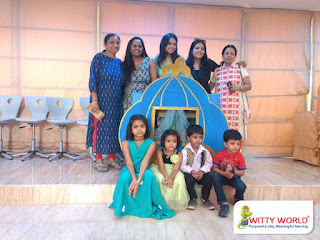 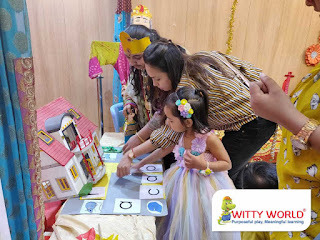 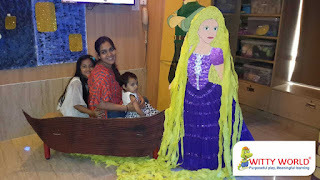 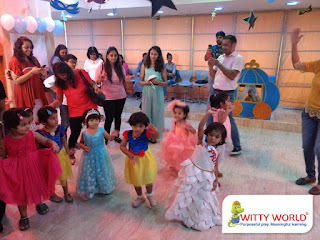 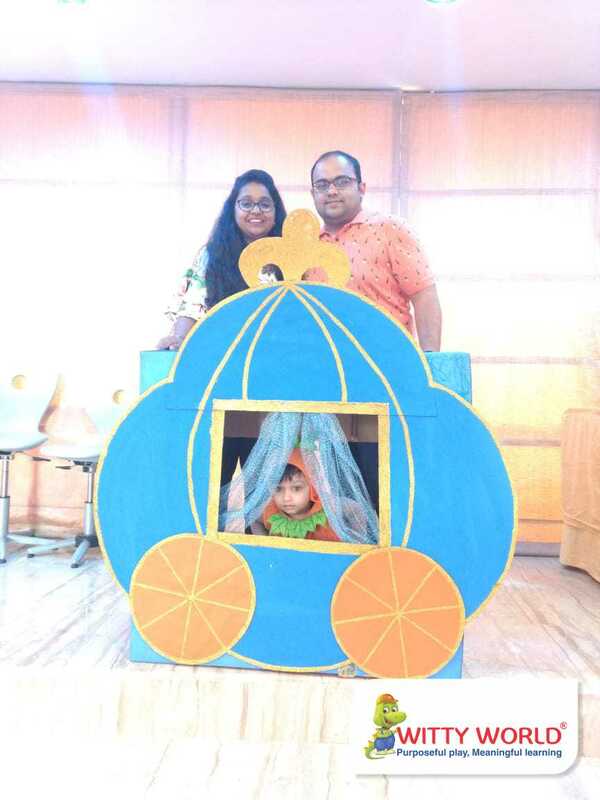 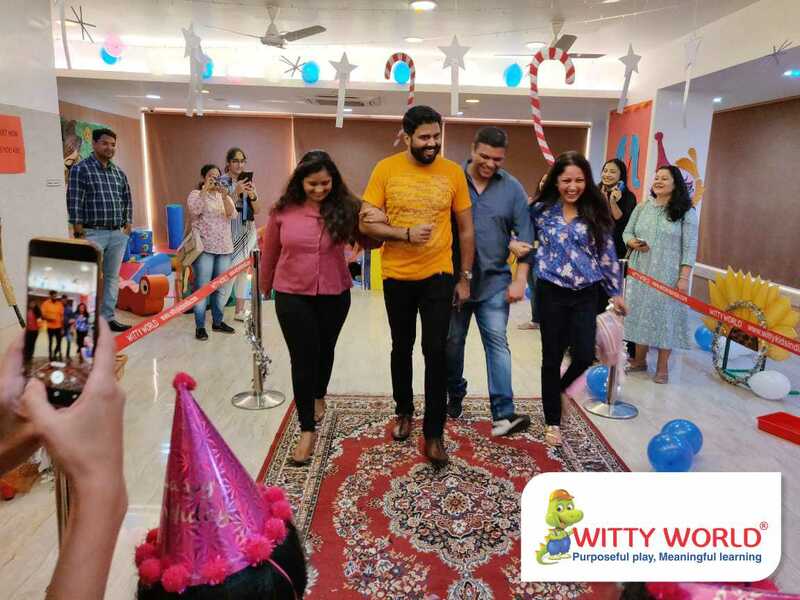 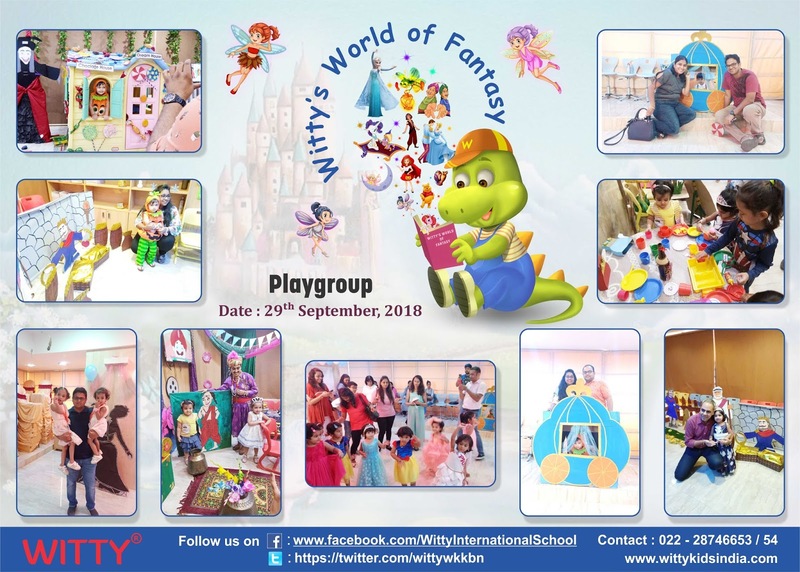 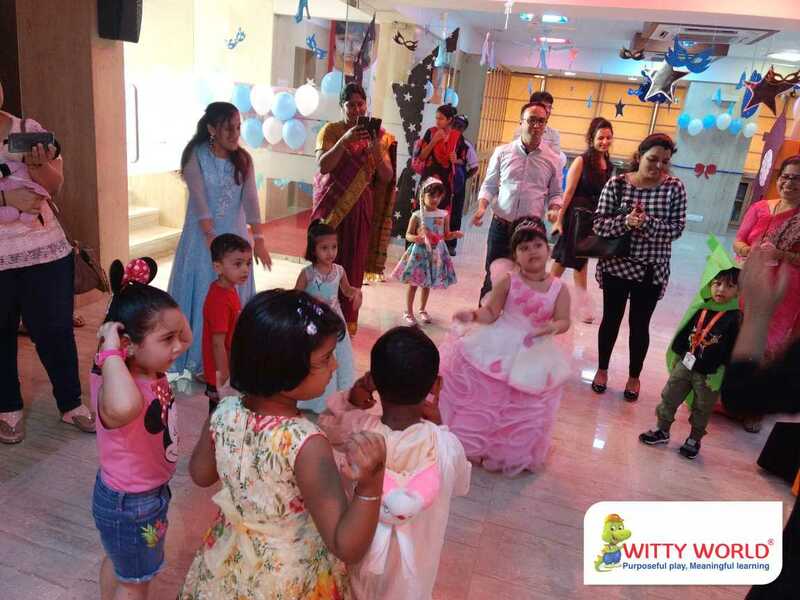 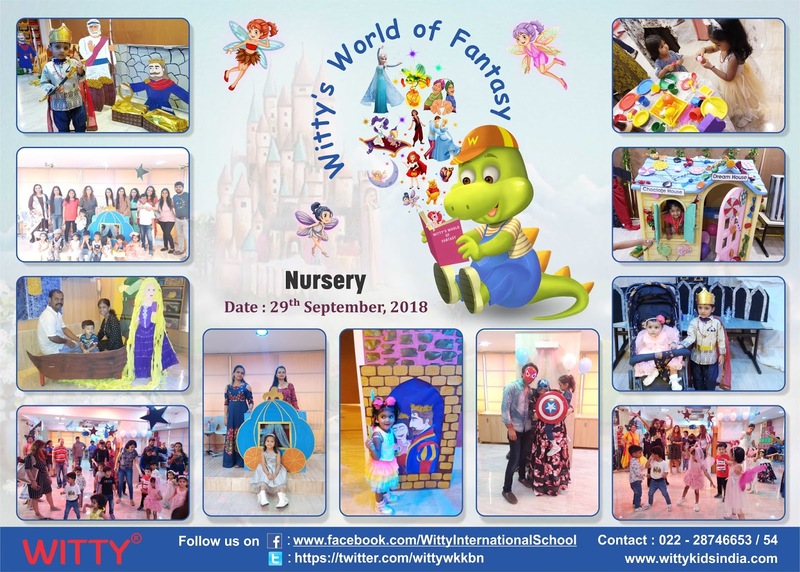 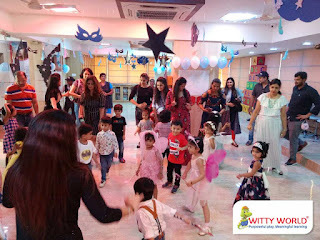 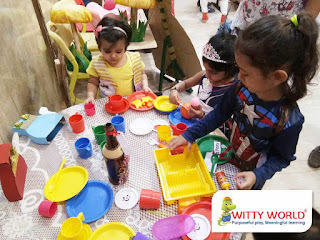 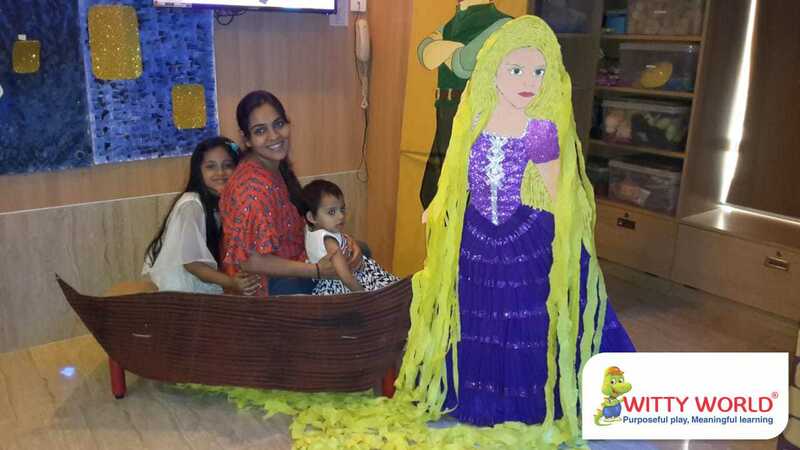 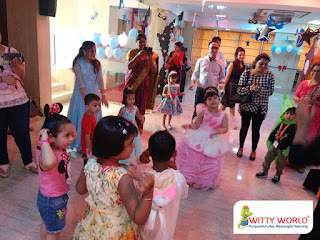 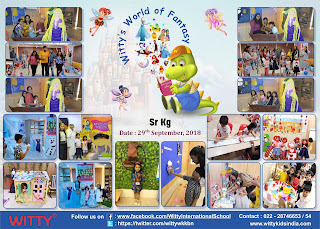 The event was envisaged as a magical, child-appealing, integrated version of Fairy land where children got a firsthand experience of the various fairy land characters. 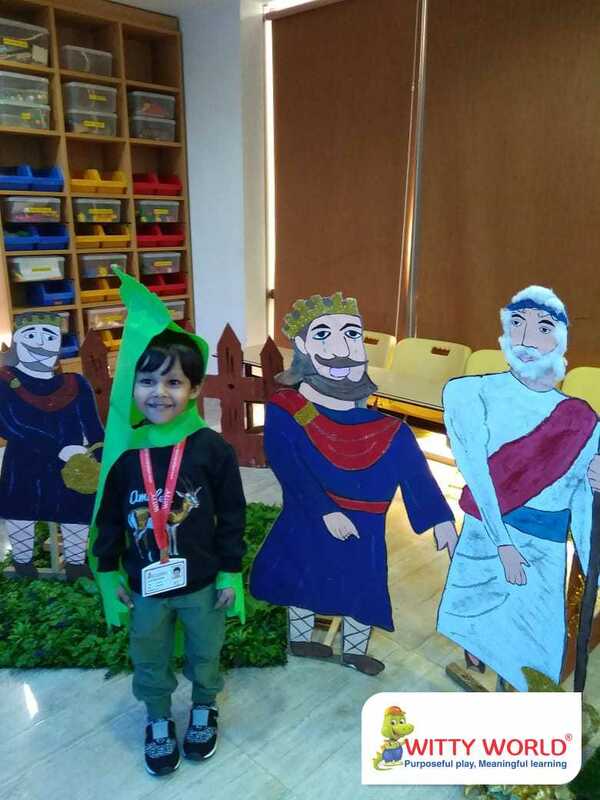 Children and their parents enjoyed listening to stories about intelligent court jesters like Birbal and Tenali Raman; they visited Arabian nights and enjoyed the escapades of Mowgli and his friends! 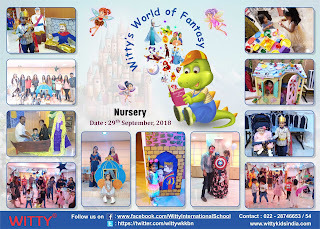 King Midas, Frozen, Hansel and Gretel, Mad hatter from Alice in wonderland, the three little pigs, beautiful tresses of Rapunzel and Jack and his bean stalk enthralled the children! But what had them spell bound was the Hogwarts University and Harry Potter! 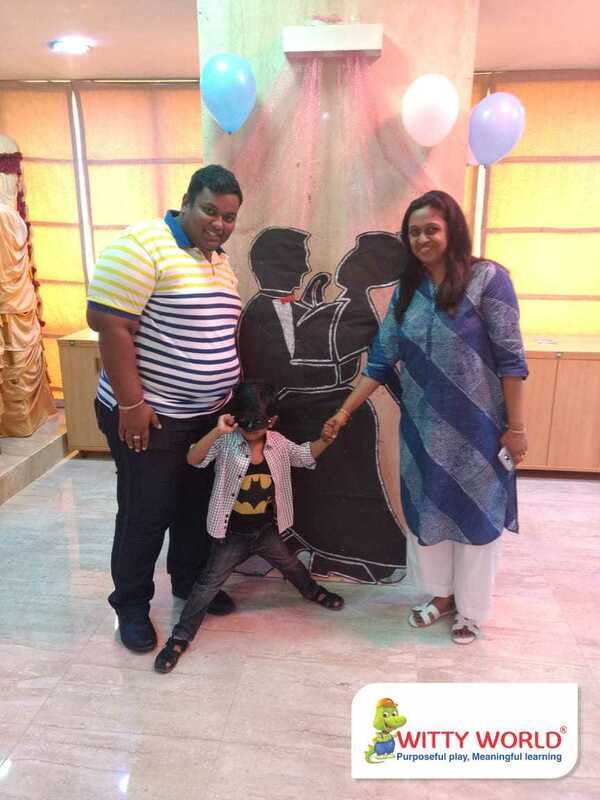 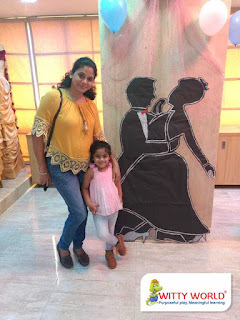 Ramp walk, tattoo corner, Cinderella's Ballroom, avengers saving the planet and various games were the other endearing experiences which the children took home with them! 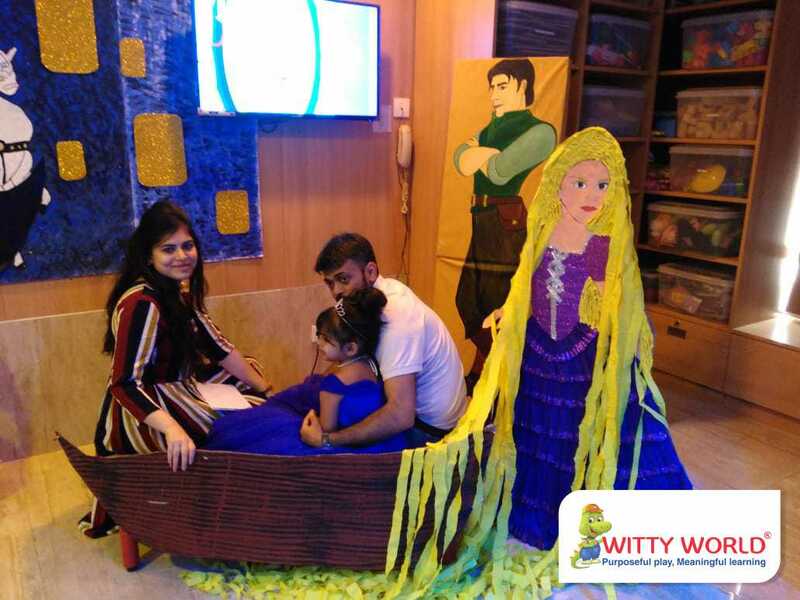 Too add to this entire experience were the ever enthusiastic team as well as the parents and children dressed in keeping with theme! To quote the parents, Edutainment, has truly become Witty's much awaited signature event!